It is imperative to have a healthy user engagement for your website. User engagement is the interaction you receive from your visitors. This interaction in turn helps you get better rankings for your pages. The more attractive and user-centric your website is, the better will be the engagement. And if your visitors remain engaged for long enough, they are much likely to become your potential customers as well. Creating user engagement is the foremost responsibility of your marketing team. If you manage to make content appealing enough to convert visitors, your subscriptions and sales will eventually increase. However, if you fail to do so, then your abandonments will grow in return. This will eventually raise your bounce rate which can cost your business dearly. Thus, in order to make sure your online presence is maintained, we have 8 proven practices that will help you strengthen your website user engagement to the end of success. Optimizing your content is an integral part of increasing user engagement for your website. Content is responsible for user interaction, attracting new visitors, increasing conversion rate and subsequently decreasing bounce rate. Your content is mix of several elements that act together as one to keep the website functioning. From text, headers, tabs, images, videos and even colors, the content you choose is for your website must be well optimized so the visitor can reach out to you. Another great strategy to maximize engagement on your website is by introducing chat feature. Chat is not only the best means to keep your user busy, but also cost effective. Many visitors abandon websites when they stumble upon something oblivious. Even though most websites have FAQs archives that can be quite helpful, most users never tend to use them and bounce away. By adding chat feature you not give the users an instant opportunity to interact and find their answers, but also earn a loyal fan base. 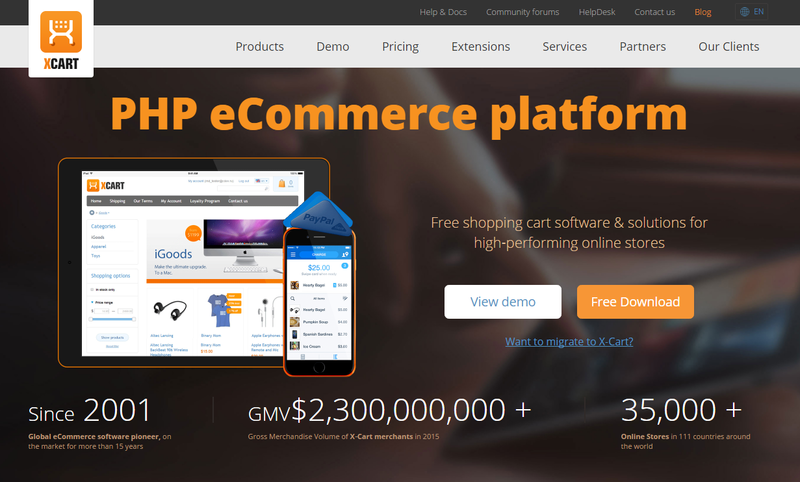 FME is an eCommerce website that sells products for Magento. By adding live support feature through chat it has received a rise in user engagement on its website. Blogs are an excellent source for user engagement. They bring about new ideas and provide solutions to many trending issues. Now, your blog is basically a platform where all the traffic converges to engage in fresh content, but why not make it more useful. You can add a comment section beneath the blog to give an interactive platform to your blog. After the user is done reading the content, they might as well want to share something that was missed or just leave with a humble thanks. It can become an excellent source of user feedback that will not only encourage users to engage with you, but with each other as well. #4 – What is with Autoplay in Videos? It might seem like a trivial bit of detail but believe me you it’s quite the nuisance. Imagine you entering a website when suddenly your speakers start exploding, leaving the peers around you staring as the noise violates the peaceful quite. Autoplay videos are conversion killers that are not only disorienting to the viewer but also damaging to your business. This doesn’t mean you’re visual content must go, but giving your visitor the choice to play videos at will can solve the spike you might be experiencing in bounce rate. Use language that is easy and makes the user tick. If you are selling garments, you can use “Show me shirts I’ll Love” instead of just “Click Here”. If you prefer using headlines before the CTA button, make sure it is well optimized as so no disparity can be found. Size of CTA also matters. With the rising trend in mobile technology, handheld device users prefer CTAs that can be clicked with just one stroke of a thumb. Another crucial factor that improves user engagement through CTAs is color. The right color can mean the difference. So it’s best to use the ones that are more striking and visible. This helps create distinction amongst the rest of the content. Red is an effective choice. Optimization is all about making the website more approachable so it gives a comfort zone to the visitor. But without a user-savvy navigation at work you can never hope to achieve the conversions you like. The rules are simple. The navigation should be easy to find and user-friendly so it not only helps the visitor navigate to the desired pages, but also prompts the user into taking action. You can increase engagement by making your navigation panel consistent with the design or theme of the website. The title content should be concise and aligned with the subject so it does not mislead the visitor. Also, never use bright colors for your navigation bar. A study has shown that bright and neon colors are highly disliked by users. Never set your Pop up to emerge the moment any visitor lands on your website. This type of nuisance can annoy the user forcing them to leave. You can add subscription, registration fields, redirection options, demos and images of new products that need attention. Use appropriate dimensions for your Pop up to keep it mobile friendly and interactive. A decent amount of white spacing accompanied by the right color combination should also be present. Social share buttons are the most underrated and underused practice of this new era. Facebook alone has a conversion rate of 1.85% compared to the rest of its peers such as Google+ at 0.96%, Twitter at 0.77%, LinkedIn at 0.47%. The influence of social media is dominating and the least you can do about it is capitalize on it. The easiest way to make your website engaging through social media is introduce social share buttons. Social media share buttons are basically shortcuts that help sharing of web page content without having to open your social media account and post the link or get involved in the whole procedure. It is a Fast-track method that swiftly posts content on your or someone else’s timeline with just a couple of clicks. 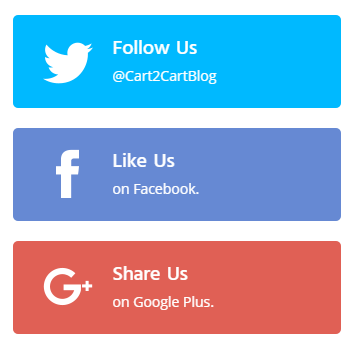 Social sharing buttons are often colored with their dominant theme color on websites to show distinction as shown above. From the statistics we have gathered, there is absolutely no doubt that users love sharing content on social media. 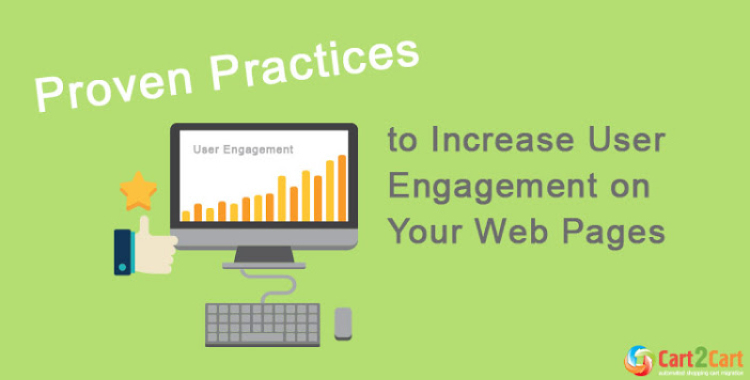 By following these 8 proven practices for increasing user engagement you will not only attract new visitors to your site, but also increase user retention time on your pages. Once you have given it all, there is only a matter of time before your web pages will start ranking on top of search results. Simon Walker has more than 7 years of experience in eCommerce development. He also consults businesses by providing solutions to deal with their online consumers. 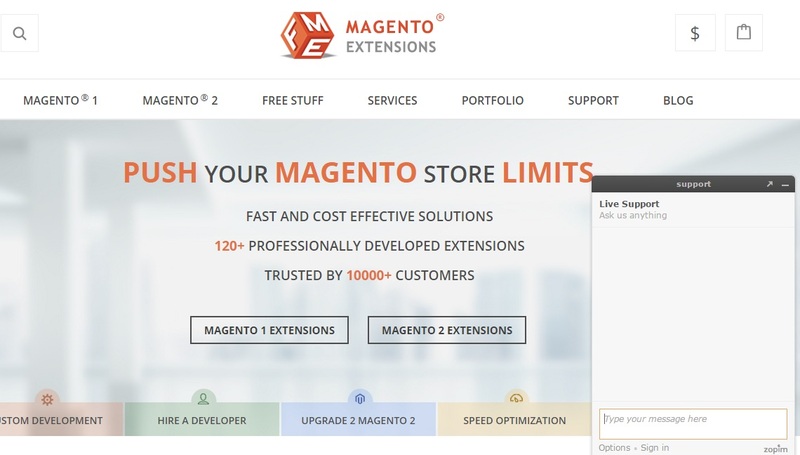 He currently works for FME – A Magento 2 Extensions Development company. You can reach him on Twitter and Facebook.